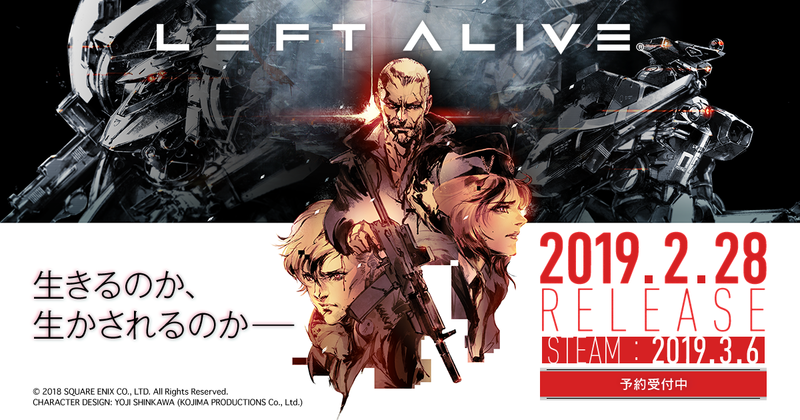 Developed and published by Square Enix for PlayStation 4, left alive is an upcoming Mech-shooter title. It is also going to be available for Microsoft Windows PCs and is due to release in Japan on February 28th, 2019 and rest of the world a few days after that. This article focuses on the day one addition for the game. 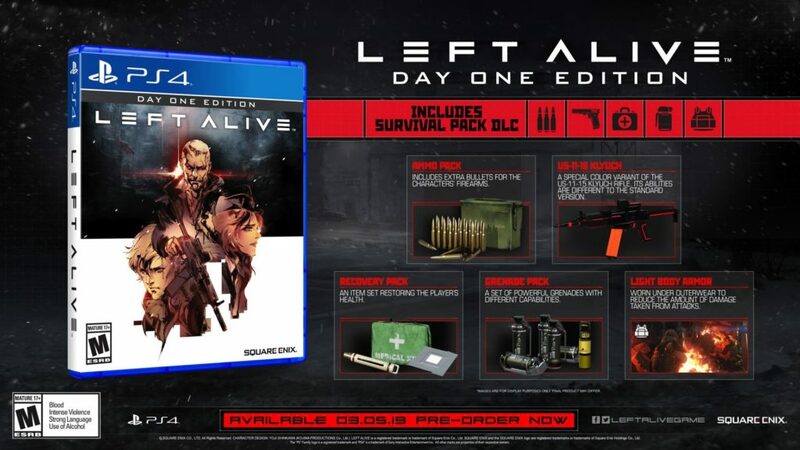 Day one edition includes the game, as well as additional DLC content, and some other digital items. These items will be different for both PS4 and steam Do not expect similar items for both platforms. However, the game will be priced at $59.99 for both steam and PS4. 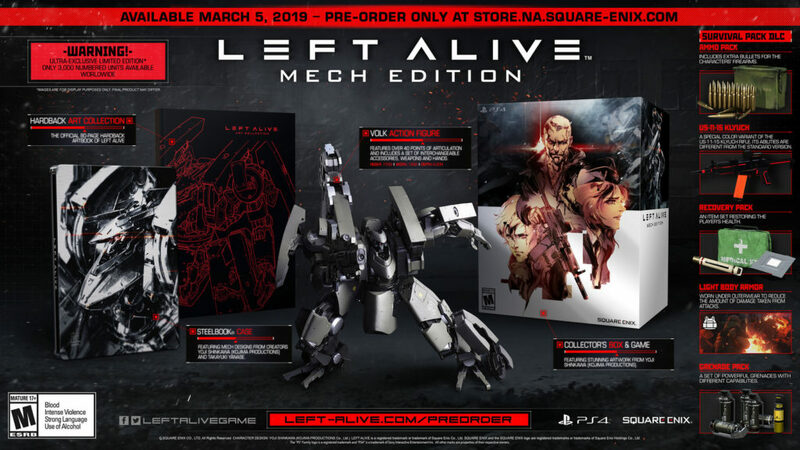 Left Alive is headed to PC and PS4 on March 6th 2019.